The ICC Cricket World Cup Schools Programme has launched its final two projects ‘Warming Up’ and ‘Celebrate Cricket’ ahead of a momentous summer. 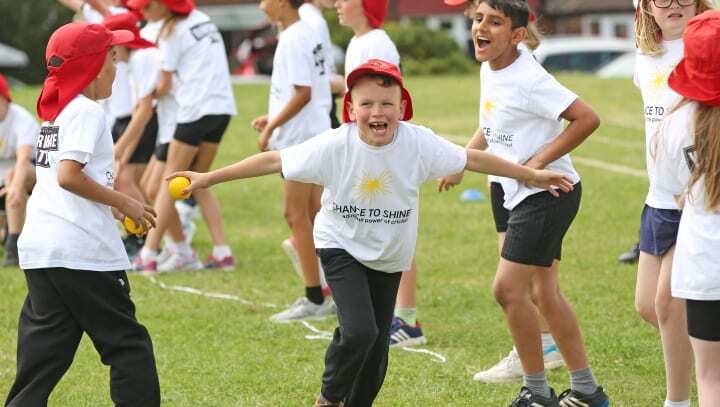 The Schools Programme, which has been developed by the ICC, ECB and Chance to Shine, has been part of the ambitious programme around the ICC Men’s Cricket World Cup 2019 to engage one million young people in the lead up to – and duration of – the tournament. 'Warming Up’ and ‘Celebrate Cricket’ are two projects that teach pupils about the players taking part in the ICC Men’s Cricket World Cup 2019, as well as a bit of background about all competing teams whilst encouraging the school children to think of unique ways to celebrate this summer’s tournament. To help schools celebrate the ICC Men’s Cricket World Cup 2019, the Schools Programme are giving away 500 celebration boxes. Schools can claim their celebration box by emailing schools@cwc19.co.uk and telling the Cricket World Cup what they are going to do to celebrate. Darren Clough, Inclusion Manager at St Edward’s Primary School in Marylebone, London, has engaged with the programme from its launch and believes the final two projects follow in delivering enjoyable and productive classroom sessions for primary school children of all ages. "Excitement is really starting to build up in classrooms as the pupils think about imaginative and creative ways to celebrate the World Cup," he said. It has been an important priority for Steve Elworthy, ICC Men's Cricket World Cup 2019 Managing Director, to inspire a new generation of fans and players of the sport, he added: "The amount of schools that have signed-up to the ICC Cricket World Cup School Programme has been really encouraging to see which helps us in our aim to inspire the next generation of fans and players by taking the tournament across England and Wales. “This programme has given us a really good springboard to grow the game within this country, and we look forward to seeing pupils joining in this global celebration. The final two projects will have strong links to curriculum subjects PHSE, Art and Design, and PE. ‘Warming Up’ will help pupils learn in-depth about the teams and players participating in the Cricket World Cup. In ‘Celebrate Cricket’ schools will be provided with bunting and poster templates to dress the school and kick-off the celebrations, engage parents and get the wider community involved.